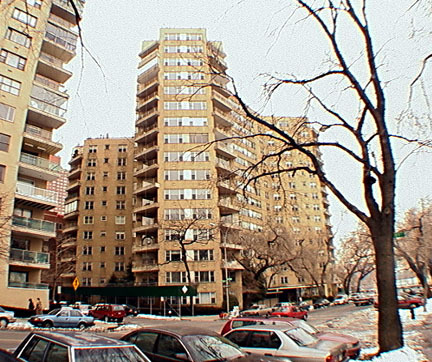 One of the most distinctive post-war apartment houses on the Upper East Side, this free-standing building has many angles that give it an unusual form and provide many corner windows. The building has very handsome balcony railings, its own curved driveway and a very unusual entrance. 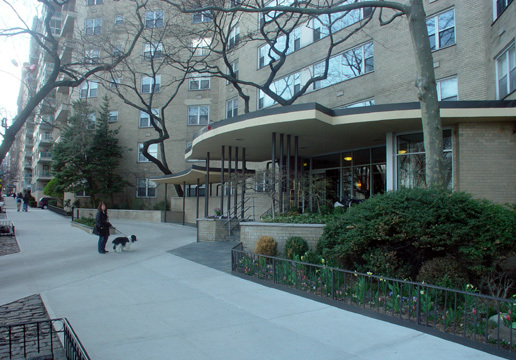 Gracie Mansion, the mayor’s residence since the early 1940’s, is just a short distance away in Carl Schurz Park directly across East End Avenue from this 17-story apartment. As a result, security here is superb and so are the dramatic views that also include picturesque vistas of Long Island Sound and its bridges. 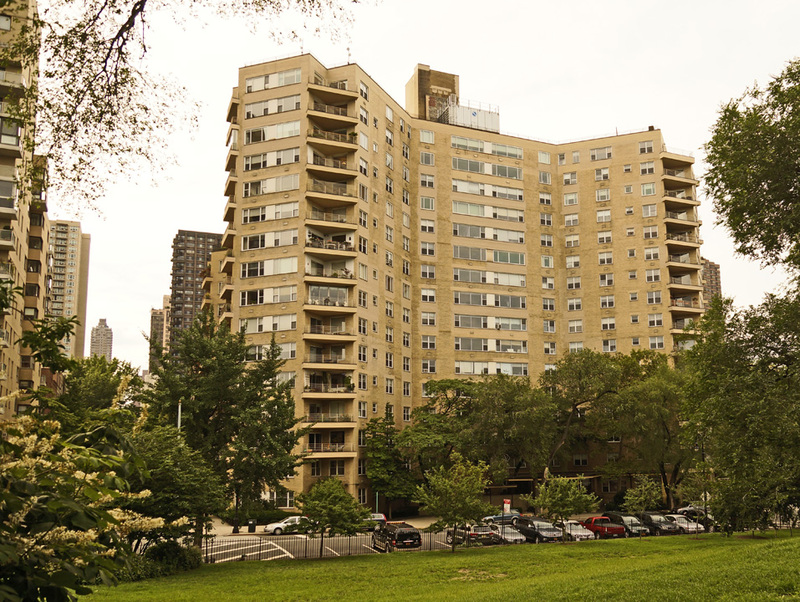 The northernmost building on East End Avenue, it has major views not only to the east but also to the north. 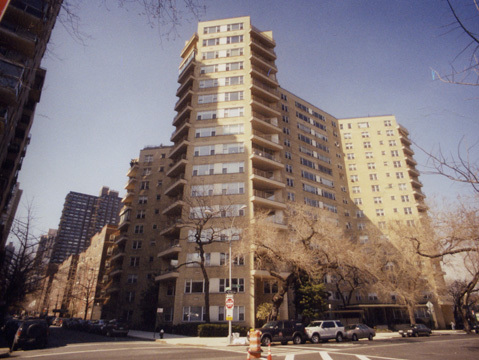 Beth Israel Hospital North is two blocks south on the avenue and Henderson Place, one of the city’s prettiest streets of townhouses on 86th Street, and some of the city’s best schools are also nearby. The 89th Street block between East End Avenue and York Avenue is quite attractive and the 86th Street cross-town bus stops at York Avenue and 89th Street. Built in 1952, this large cooperative building, which occupies the entire blockfront between 89th and 90th Streets, was converted to a cooperative in 1980. It has 189 apartments, many with balconies. Commensurate with its prime East End Avenue location, the building has a large and attractive lobby. Its canopied entrance is held up in part by numerous bent brown pipes in a curious but interesting design that is a precursor of "high-tech" design and reminiscent of Le Corbusier’s white piping.